Samsung could be developing a protective glass to compete with Corning's Gorilla Glass. A report from GSMArena claims that Samsung has registered a trademark for a protective product, known as Turtle Glass, to be used on phones, tablets, music players, cameras and other devices. Gorilla Glass is a protective screen layer designed to prevent damage to the display. It is currently the most prominently used display protection on Android flagship devices. If Samsung does manufacture its own screen protection, it would not only save on the cost of purchasing the tech and implementing it on its devices, but could potentially sell Turtle Glass to other OEMs too. The news that Samsung could be readying Turtle Glass might not leave many of you (shell)shocked. Earlier this year Samsung ditched Qualcomm's Snapdragon processor in order to use its own Exynos chips in some of the latest Galaxy phones, including the Galaxy S6 – and that has just proven itself to be the fastest Android phone in the world. Maybe Samsung can produce a worthy competitor in the area of screen protection too. Can the turtle take on the gorilla? Let us know your thoughts in the comments. It makes sense that one of the biggest smartphone manufacturer wants to develop its own screen protection. I suspect that Gorilla glass is relatively expensive to license, also it's a key component that samsung wants to have the freedom to design to its own specs (dual edge/flexible screen). I see that some people are still crying over the SD card and removable battery issue. 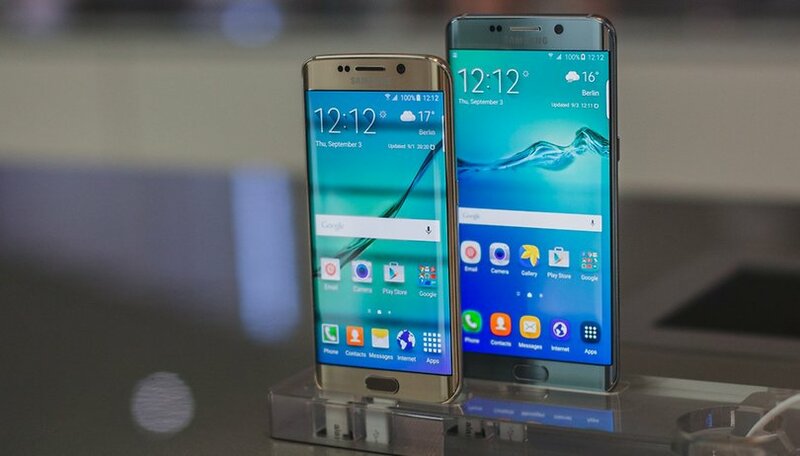 Get over it we know that you won't buy Samsung ever again and feel cheated on. The vast majority of users will insert a SD card and never have to take it out. Samsung rightly or wrongly made a design decision based on this - Get over it! Turtle glass? Really?! How long did it take them to think of that stupid name! Unimpressed. Nothing wrong with their hardware besides throttling CPU's that heat up sometimes. But these things are lagmonsters because of all the crap that's preloaded and only can be deactivated. It's like strapping a rhino to a cheetah's back. Samsung wants to be the apple of the android world by creating a lot of additional software that sometimes is useful (thank God) but mostly is miles behind..
Nexus, Moto, Sony, One Plus and Huawei have already understood that their users only want useful apps with android as clean as possible. I hope as long they don't change their philosophy the others will keep on taking their growth and market share. It pisses me off since the S6 is an excellent machine and I need a smartphone yesterday. Deactivated apps don't load up into memory and does not cause lag. Also, you do realize that Google is a major supplier with Bloatware... I had to turn off Google Drive, Google Play Books/Movies/Music/Newstand, Google+ and YouTube.. that's 7 apps there from Google. You are of course entitled to your opinion, but phones having SD card and/or removable battery is important to more people then you realize.